The Renault Captur was Europe's top-selling small SUV/crossover in Q1. It also ranked No. 3 in overall sales in France during the same period. Small SUV sales in Europe’s five largest car markets are forecast to nearly double to 931,000 units by 2018, led by fast-rising demand in France, the UK and Italy, according to IHS Automotive, which also sees the segment growing more than 70 percent to 1.3 million units Europewide by 2020. France was Europe’s No. 1 sales market for subcompact-sized SUVs and crossovers last year and it is expected to extend its lead over the UK between now and 2018 (see table below) as more Europeans move away from hatchbacks and sedans, matching a trend already underway in the U.S.
“America embraced the SUV, and you can see that trend happening here. The dominance of the hatchback and sedan will be gone in a decade or two,” analyst Justin Cox, head of European production with LMC Automotive, told Automotive News Europe. In 2014, small SUV sales in Europe rose 54 percent to 761,087, according to data from JATO Dynamics. The only segment to experience greater percentage-based grow was electric cars, which were up 79 percent in the region last year. When all volume- and premium-brand SUV and crossover sales were counted in 2014 more than 2.5 million units were sold. That means one out of every five car buyers in Europe chose an SUV or crossover last year, up from 17 percent in 2013. The market share rose to 23 percent of all car sales during the first quarter of this year, according to figures from the French automakers association CCFA. French buyers’ interest in SUVs has coincided with the recent arrivals of the Renault Captur, Peugeot 2008 and the face-lifted Duster from Renault subsidiary Dacia. The Captur was France’s No. 3 seller overall in the first quarter and No. 1 in Europe’s small SUV segment during the period. 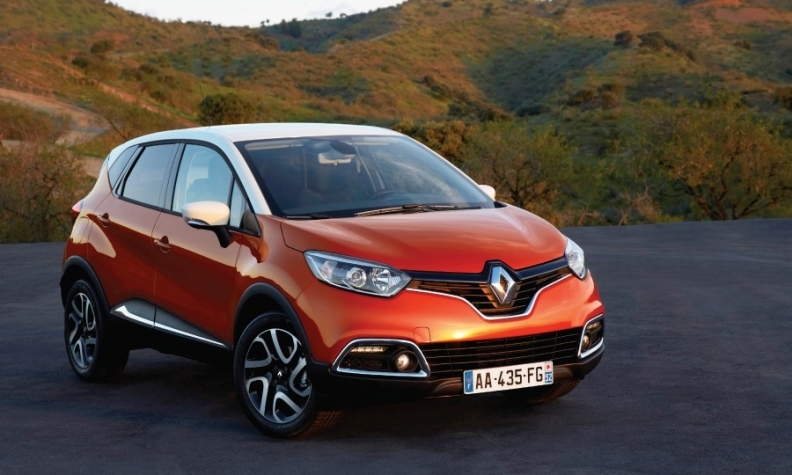 Of the Captur’s 51,977 sales in the first quarter, 38 percent went to buyers in France. It was a similar story for the Peugeot 2008. The SUV’s No. 5 ranking overall in France helped it claim the No. 3 spot in Europe in the segment during the quarter. Last year customers in France bought 158,029 subcompact SUVs, which was 21 percent of Europe’s total sales for the segment. By 2018, IHS predicts French sales will increase to 270,000 and will rise again in 2019 with the expected addition of a crossover from the DS brand. The UK’s biggest seller in the small SUV segment through May was the Nissan Juke, which is built in Sunderland, England. The Juke, which was 13th overall in the market, was followed closely by the Mokka from General Motors subsidiary Vauxhall. IHS believes Italy will challenge the UK for the No. 2 spot in small SUV sales by 2018 because of strong demand for locally made models such as the Fiat 500X and Jeep Renegade. Car buyers in Europe’s largest car market, Germany, have been slower to shift to the sector, but IHS analyst Tim Urquhart believes that will change starting next year when the Audi Q1 and Volkswagen Taigun small SUVs debut. Those arrivals are expected to push small SUV sales in Germany to 170,000 by 2018 from about 77,000 last year, according to IHS. France is Europe's No. 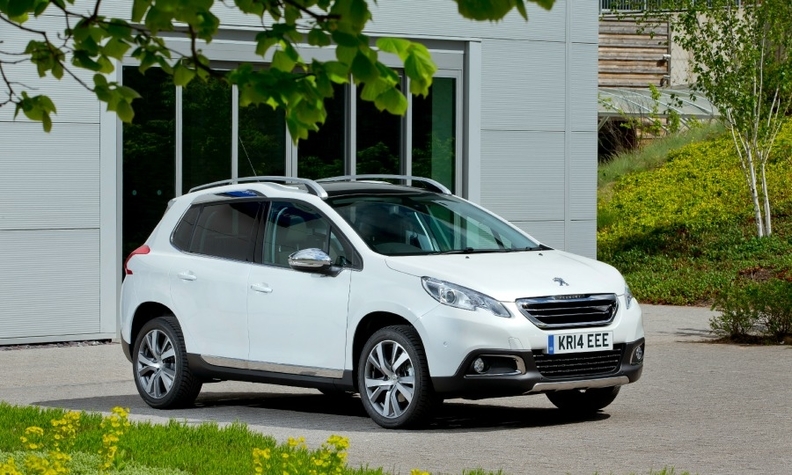 1 small SUV market because of demand for models such as the Peugeot 2008. European automakers are also benefiting from global appeal of the body style. For example, Peugeot builds the 2008 in France, Brazil and China, with China accounting for 61,000 units last year. In addition, Europe accounted for less than half of the Duster’s 395,350 global sales last year. The small SUV has a strong customer base in Russia and India, where it is sold as a Renault. Renault’s Captur will be sold in China starting this year, with production expected at a later date. The small SUV is also available in South Korea, where it is sold as the Samsung QM3. Renault-Samsung reported sales of 18,191 QM3s last year. “I think these cars have huge potential in China, where emissions and footprint are more on the agenda,” IHS’ Urquhart said. In the U.S., Fiat Chrysler Automobiles has started selling the Italy-built Fiat 500X and Jeep Renegade. Through May, Jeep sold 9,573 Renegades, according to figures from the Automotive News Data Center. Those models and the arrival of the Mexico-built Honda HR-V are expected to push U.S. sales of small SUVs to 435,000 this year from 233,000 last year, according to IHS. Europe will get the HR-V this summer. It will be offered here with a diesel engine built at Honda’s plant in Swindon, England, which will give the plant a production boost. 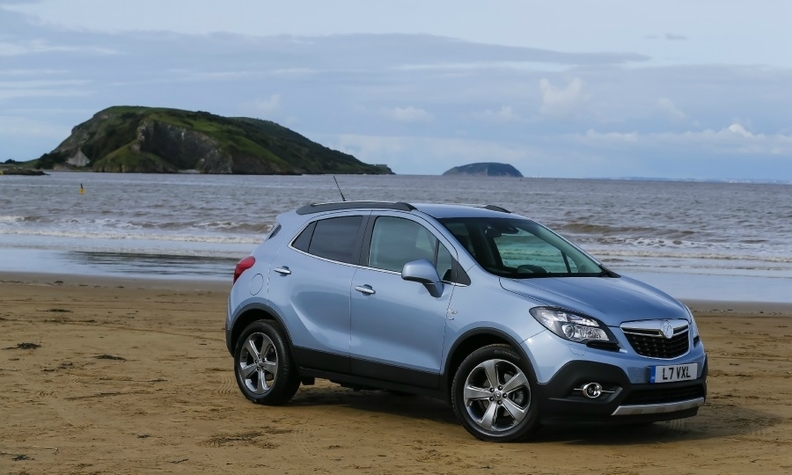 Opel/Vauxhall boosted sales of the Mokka by 43% during the first quarter. While local production of the vehicle and its powertrain provides a number of benefits, auto executives say the real key is making sure that the final product appeals to local tastes. “It’s important to have the flexibility to tailor products for the European customer,” Nissan Europe Paul Willcox told Automotive News Europe. Automakers that fail to do this often struggle. One example noted by LMC’s Cox is the Ford EcoSport. “It has not been that successful in Europe probably because it was designed with emerging markets in mind,” he said. The EcoSport was developed in Brazil and is built in India. Through March, Ford sold fewer than 10,000 EcoSports while Renault sold nearly more than five times as many units of the Captur. In a bid to improve sales, Ford showed a redesigned EcoSport at the Geneva auto show in March. The new version no longer has a prominent spare tire mounted on the side-hinged tailgate.